﻿ "Straw Bale Houses from Brian Waite"
Our terrible legacy to our children is to be global warming because we are selfishly squandering fossil fuels and polluting the damned planet in the process. I am appalled by our impact upon the worlds ecology and saddened by how much pollution is due to the energy demands of our inefficient homes. Buildings account for half of our total energy and therefore half the greenhouse gases. With ten of the warmest years on record being in the last twelve years it seems that we are blundering into an unsustainable ecological and energy future! The craziness is that it costs money to be a polluter. New UK homes use three and a half times the energy of German or Scandinavian homes and energy is and will be evermore expensive – in many ways. Problems cannot be solved with the same thinking that caused them in the first place and things will always alter for the worse spontaneously if they are not first altered for the better by design. I have built homes for myself and have done a lot of architectural design but I am not an architect. Over the years of building my own homes I have proved the financial and comfort benefits of investing in high quality building with, at the time, “over the top” insulation, but now we need to use more – much more. However most insulation has high “embodied energy” incurred from its production and distribution. Therefore it seems logical to use a natural material that is so abundant that it mostly goes to waste, that is local, reproduced annually and yet is durable and cheap. That, of course, is straw. Why a house of straw? The obscure we see eventually, the obvious takes a little longer. The UK alone produces 4 million tons of surplus straw every year – enough for 250,000 homes. Straw must have the lowest embodied energy of any building material and is probably the cheapest and most sustainable. 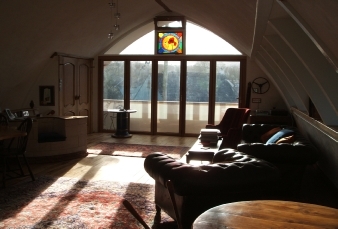 Straw-bales have an insulation “U” value twice that required by present building regulations as well as excellent sound deadening properties which, together, give a living space an ambience that has to be experienced to be appreciated. Contrary to common perception straw-bales in a building, are not a fire risk, are not a vermin risk and are not short-term, but would compost back into the earth if and when required to do so. Straw in bales is too dense to contain enough air to support combustion, just add lime render/plaster and any fire regulation requirement is easily met. In fact both Texan and Australian fire test reports recommend straw bale houses in bush-fire prone zones. There is no nutritional value in straw and so it does not attract vermin, it is only voids that vermin like, so proper attention to detail is the only precaution needed. Lime rendered straw-bales “breathe” so evening out fluctuations of humidity thereby creating a healthier environment. The problem is how straw homes are perceived. 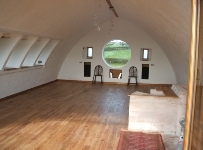 Strawbale houses need to come out of the realm of committed radicals and into the mainstream of buyers if they are to contribute to more eco-friendly housing. This is in no way a detrimental comment on the pioneering hard work done by others in promoting the use of straw in building, just an attempt to move things on a notch. Because to an engineer, like myself, and all the homeowners from whom I have canvassed opinions, most houses made of straw-bales seem to reinforce the children’s storybook illusion of straw houses being flimsy and vulnerable and therefore definitely not worth devoting ones working life paying for, with their resale value being the biggest worry. They have “the big bad wolf” syndrome, yet straw-bale homes in Nebraska USA are over 100 years old and still fit for purpose. 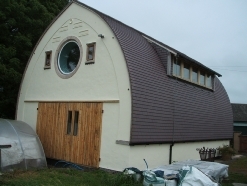 To try to overcome this reticence I have devised a more solid “engineered” design for a house that uses straw-bales as the main form of heat and sound insulation yet has a robust exterior that will cope with harsh weather and exposed locations. It is an attempt to overcome the “insubstantial” impression most straw houses give to the unconverted buyer. 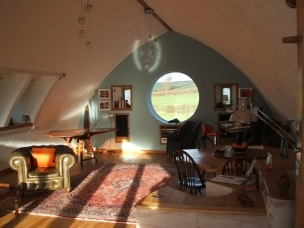 The quaintness of the usual straw house is indeed part of their charm to some, but my design is intended to give a more reassuring appearance, thereby extending the advantages of straw to a wider spectrum of buyers who find that roughness off-putting. After all, however much we all want to be ecologically sympathetic, in the end, we have to be convinced that our purchase is sound. came from my experience of converting and living so comfortably for 20 years in a 15 cty Kent barn. 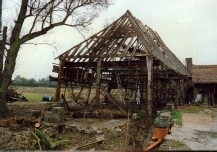 The cross section, of my strawbalehouse, is very similar to the medieval “cruck” frame shape but made of deep curved composite wooden “I” beams, which serve as both rafters and studding, and are set onto a plinth wall of local materials. The straw bales are sandwiched between these beams, which are like “ribs”, that continue for whatever length of building is required - at one bale spacing. 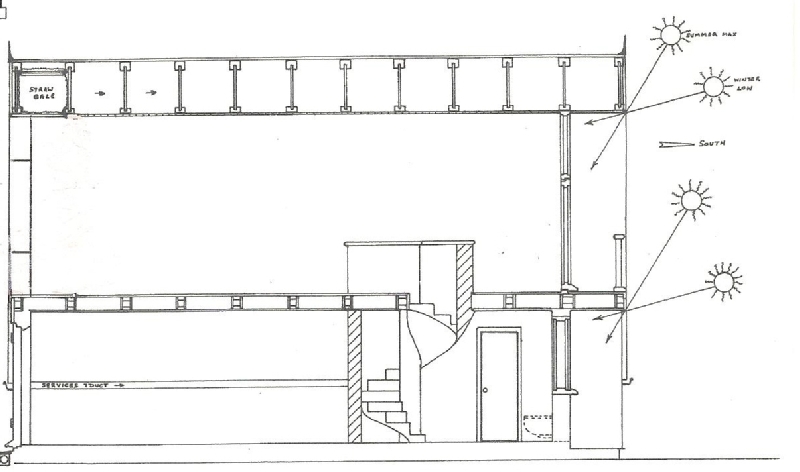 Paired together they form a bowed “A” frame that has the inherent strength of the “A” frame but contains more volume so will easily accommodate a generous first floor for all or part of the length of the building - the interior is totally free of structural restrictions. 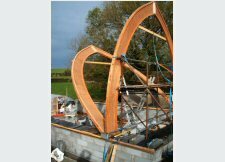 The gentle curved shape allows the straw bales to rise, seamlessly, all the way up to the ridge thereby insulating the whole building. 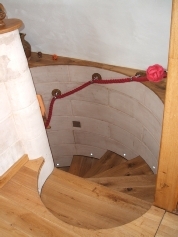 The inside and outside is rendered with a “breathing“ lime plaster and, after allowing a ventilation space, the outside is then battened and tiled according to local sympathies. The whole structure is set on a plinth wall of brick or stone of the height required - well away from flooding . This simple design is now available as a “kit” for not just homes but also for small workshops and art galleries – just add ridge glazing. The design configuration is an elegant alternative to the conventional straw bale house because it avoids that awkward change of direction between vertical wall and horizontal ceiling which is a potential thermal and structural weak spot. Although straw is capable of load bearing the engineer in me has some misgivings because over time straw must degenerate slightly and would inevitably transfer the roof loads onto the plaster/render. So I have chosen this unusual wood frame configuration to give the building a more substantial structure with every bale individually held thereby eliminating any possibility of settlement. 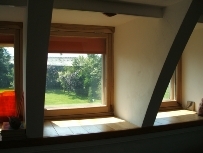 This is also intended to help overcome the resistance that most home owners have to the “organic” appearance of straw houses whilst giving a spectacular vaulted interior that leaves the owner an uncluttered space in which to do their own thing. It can be any length (or height) - a building in it’s own right with or without a first floor for all or part of its length, an extension or wing of a larger build by being abutted to another structure etc. It could also be built in stages as the family or their finances grow. Now an “insert” to increase the width and “L” & “Tee” plan sections are designed and ready to go but first things first. 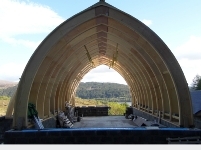 Another aim of this design is to reduce the moisture levels within the bales in the UK climate (particularly here in Cumbria where the rain arrives horizontally). Most strawbalehouses rely on large eaves overhangs to protect the walls but in my design the tiles completely cover the bales and the idea is not only their protection but to exploit the natural chimney effect, created by different pressures at different heights, to draw air under the tiles and over the exterior of the bales. Any solar gain on the tiles should further amplify this effect. Heat recovery and ventilation units (HRVU) are very efficient and will become widespread under the new regulations on air change in living spaces. However I am not sure of the wisdom of sealing buildings, I prefer natural materials that breathe, most modern paints do not and they give off VOC’s, as do fitted carpets which also harbour mites. is removed from the house instead of being filtered into smaller more irritating particles and redeployed. 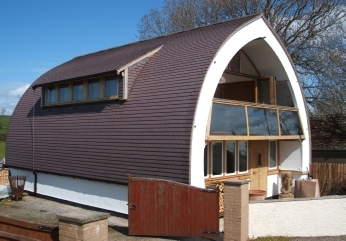 In response to our global predicament my individual contribution, for what it’s worth, is this eco-friendly, energy efficient, simple, low cost building that uses, as the main form of insulation, a cheap and readily available material that is sustainable, local and a cheap by-product of food production. The design is, at present, limited to the configuration described, but with numerous variations, so does not pretend to be the all singing, all dancing, answer on how to use strawbales. However I hope it will make the use of strawbales more appealing to the wider market thereby reducing our use of fossil fuels and lessen our increasing dependence upon foreign energy supplies and the ensuing political vulnerabilities. CRIMEA ! Although I cannot deny I had great resistance from my local planning, with insulting comments such as “Cumbria is not a place for innovation” and straw being an “alien” material, times are changing and now planning are being forced by legislation to give greater consideration to energy efficient applications. I also had vehement opposition from local building control due to ignorance of building with strawbales but that was easily overcome by engaging an independent inspector. To help with future builds I have gone for “type approval” which means, to build my kit, building control will only be concerned with site specific matters. I recognise the need for some regulations but they can only be drawn around what is known thereby debarring anything new - which makes progress extremely difficult. The building is as finished as a prototype ever is - I am still experimenting with the solar collector that is below the (South facing) balcony handrail. 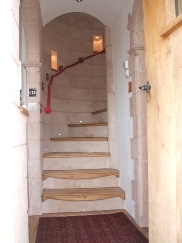 It is connected to piping within the ground floor slab and the masonry stairs which together provide a substantial thermal mass that slowly transfers the solar gain throughout the building - The building has no other heat input as yet. There is an ongoing monitoring program which, so far, shows it’s matching the theoretical performance. The moisture levels in the bales are very low so it looks as though the draught system is working well. Next expense is to try a HRVU but the outlay would not justify the returns at the moment. I am applying for a patent on a small item that simplifies construction and enhances the design. Unfortunately the project has taken a long time - due mainly to my local planning office and, of course, our friends in the banking business who destroyed my income which forced me to do everything myself (bar the internal lime plastering). However at least it proves that if a 69 year old can do it a young self-builder should have no problem. The structure was raised with a small hand winch and the most expensive thing on site, apart from my wife, was the cement mixer. Other projects have captured most of my time recently but…..Goodness me the planning/building business is soooooooo slow. 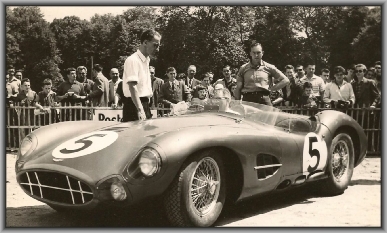 After engineering, and in particular motor racing, where it essential to have new ideas every week the building industry seems to be content with a couple of new ideas a century and then they take 50 years to catch on. 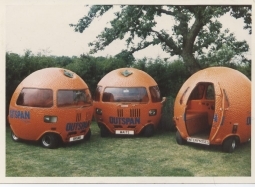 I did have great intentions to pursue lots of configurations/sizes for my design, still based upon my single, standardised mass produced rib beam, as well as a floating option that would rise and fall with flood waters and I would also like to experiment with growing fungi insulation into pre-formed moulds to fit factory made modular units. (I don’t particularly like having to use cranes but for some it might be their answer). However to do all these at the rate the building industry moves I would need a life extension and, being an atheist, with whom does one negotiate? May 30th 2015: the Scottish pair have been started and the first frame assembled and raised in two very wet days. See below. 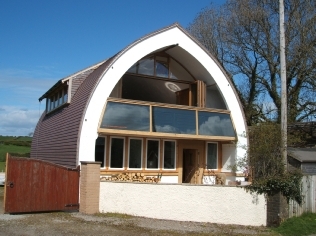 I designed this low energy, low carbon, affordable strawbalehouse primarily to reduce my own energy bills in retirement but it is obvious that we all will need to reduce our energy consumption so it is now available as an easy build “kit” for self-builders. 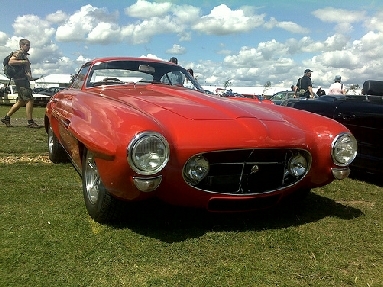 Willment Cobra - my first substantial design chassis then bodywork 1965. 50 years since it’s first win!! 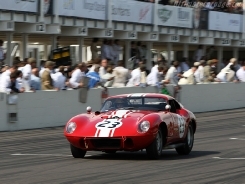 The first car I was paid to work on - 1959 Le Mans winner. 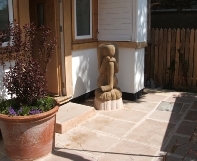 I am pleased to be able to say that manufacture is now by Huff and Puff Construction, who can be found at www.huffpuffhouse.com.